J-Smooth baseline smashin', via NBA. 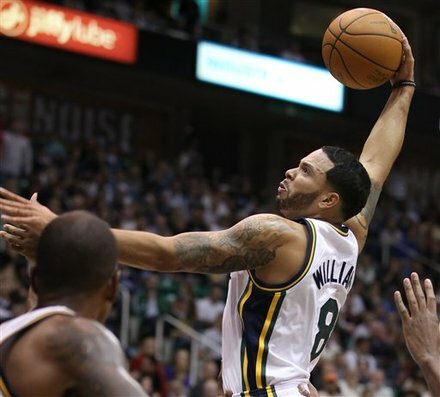 T-Young getting the better of Zaza, via NBA. 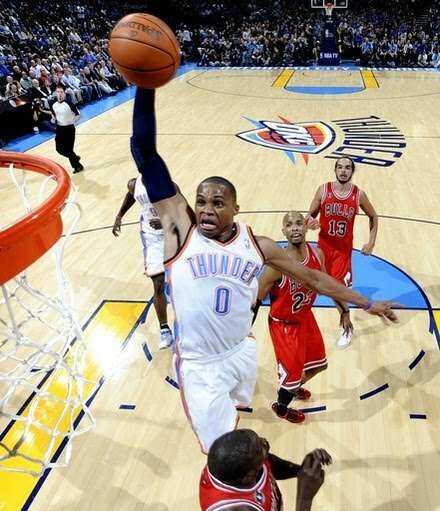 Russell Westbrook goes coast-to-coast and then soars over Deng for the sweet dunk, via NBA. Classic Robert Pack dunk over The Reignman, via Gremlin212332. 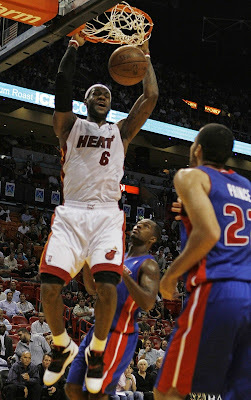 Check out this mix I put together of the best dunks from the 2010 NBA Preseason. 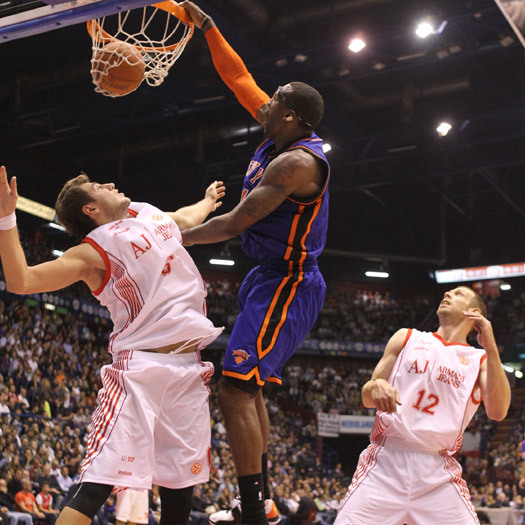 Amare with the monster putback on Reggie Evans. 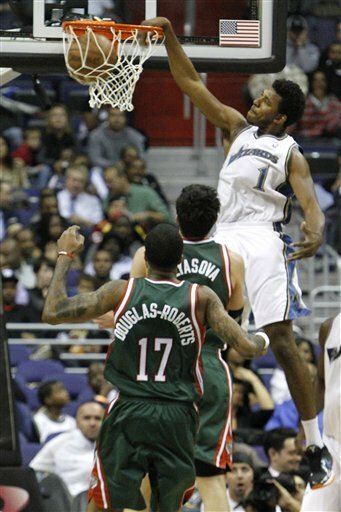 Jeff Green posterizes D.J. 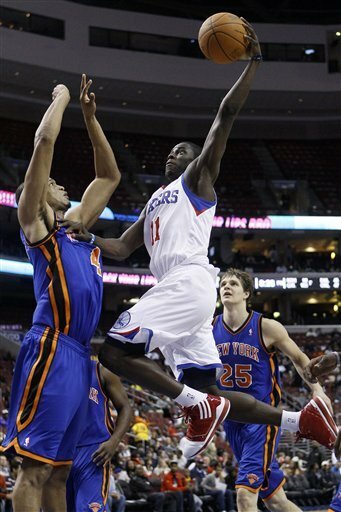 Mbenga, via NBA. Completely missed this dunk this morning, via NBA. 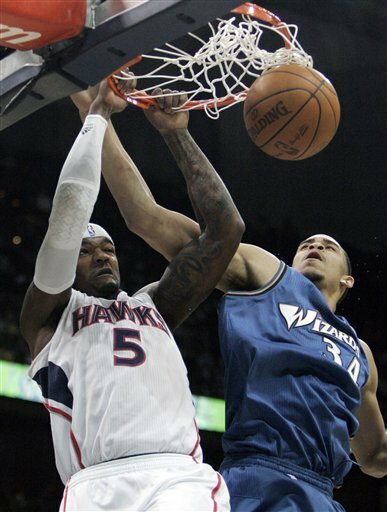 FYI to Knicks fans: expect to see a lot of Anthony Randolph getting banged on this season. Elden Campbell abusing Sabonis on multiple occasions, via GoldLakerLion. DeMar DeRozan rises above Big Baby for the equally big throwdown, via NBA. 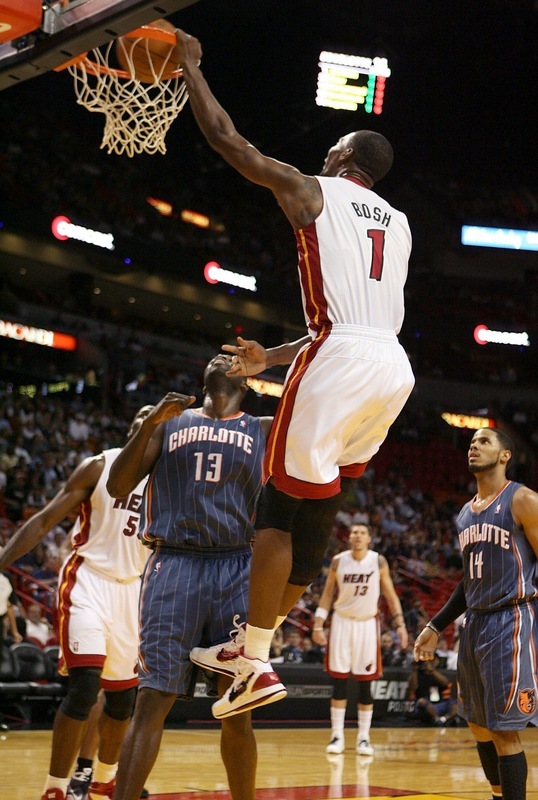 Bosh destroys Jason Smith, via NBA. Samardo Samuels just won't let the Louisville-Kentucky rivalry go...via NBA. Chase Budinger with the sick alley-oop dunk on Paul George, via NBA. Props to GoldLakerLion for diggin' this one up. 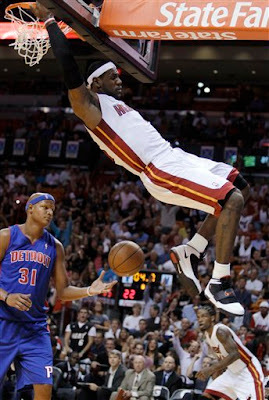 Jason Terry doesn't dunk often, but when he does he makes them count I'll tell ya that much. Via NBA. Joey Dorsey with a thunderous dunk over Earl Clark, via Gremlin212332. 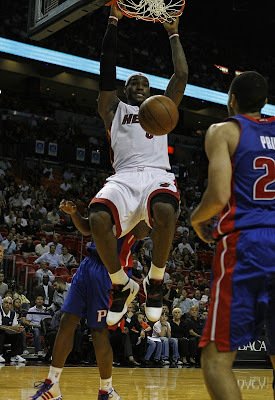 McRoberts with the reverse putback smash, via NBA. 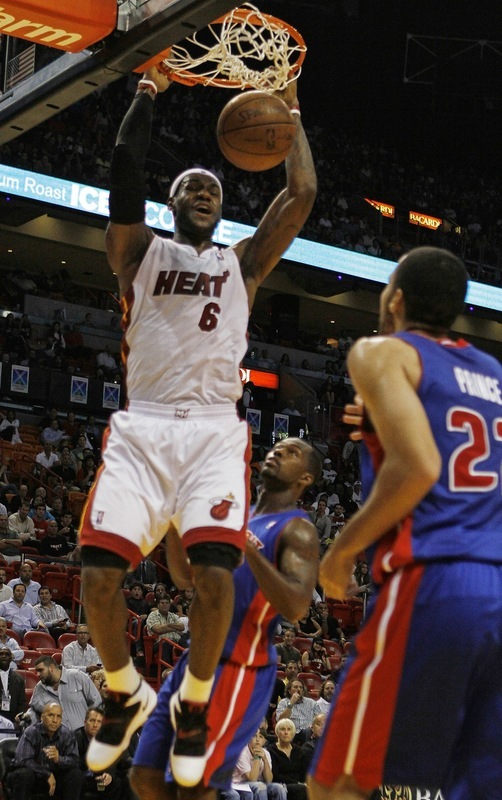 Lebron spins in the lane and then throws one down two-handed against the Pistons, via NBA. I'm assuming this is his first dunk with the Heat. Amare starts the preseason off in good fashion, via NBA. Ed O'Bannon smashes on Shawn Bradley.